Seeing as Tiger won’t be back next year, might as well clean out my Sherwood files, right? Yesterday’s post got a fairly good response, so thought I’d post another hole. 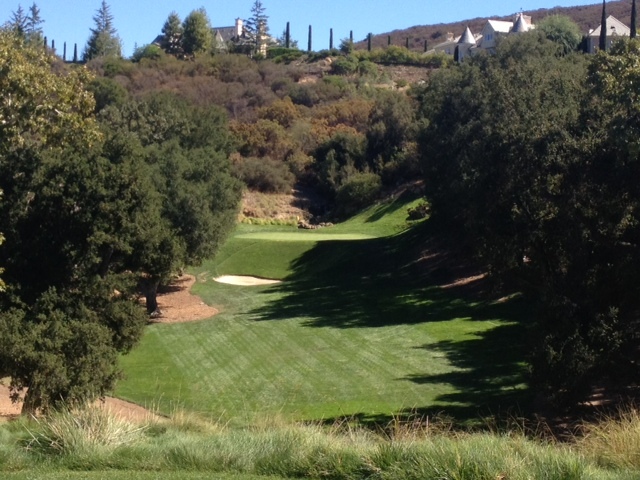 I realized this morning I’ve also got a great shot of the 17th hole at Sherwood, another par-3. 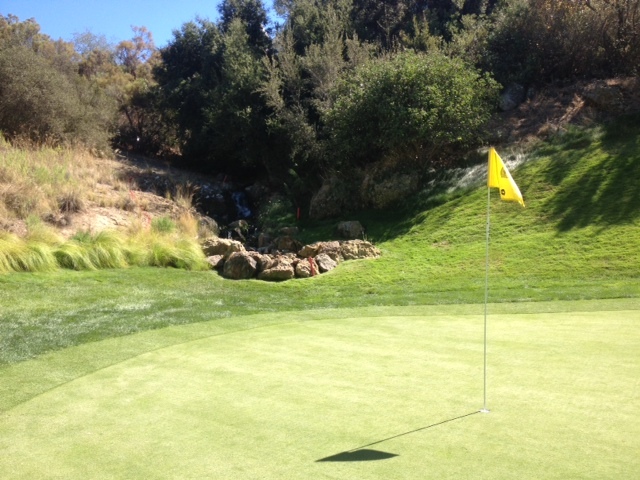 The tee shot on the 166-yard, par-3 eighth hole is from an elevated tee to the smallest green on the course. A large, very deep collection bunker gathers most of the shots short of the green, and a small hazard with a waterfall protecting the back of the green. Missing the green to the right will often result in a bounce off the bank onto the green. Needless to say, club selection is very important on this innocent-looking hole. From the tee, this looks like a sure par. What I didn’t account for was flying the green and having to hack out of a tough downhill lie to a green sloping away from me. That turned par into bogey. Doubt the pros will make that mistake, but will curious to see how many birdies this hole yields. Hardly the toughest hole at Sherwood, but certainly a fun one. This entry was tagged par-3, Sherwood Country Club, Tiger Woods, World Challenge. Bookmark the permalink.